The type species of Pleurotomella, P. packardi, copyright Forum Natura Mediterraneo. 'Turrid' time again! Though the disassembly of the enormous mass that was the old gastropod family Turridae (now several families of the superfamily Conoidea) has left the subject of today's post, the genus Pleurotomella, as a member of the Raphitomidae rather than the Turridae. Pleurotomella is a widespread genus, with species found in deeper parts of ocean basins around the world. As with many deep-water animals, we know relatively little about their lifestyles, though they are undoubtedly predators like other conoids. Like other conoids, Pleurotomella species have a radula with the teeth modified into hypodermic syringes for the injection of toxins. At least some species (including the type) are blind (Bouchet & Warén 1980) and I can imagine that they attack relatively sedentary prey such as worms. Taxonomically speaking, Pleurotomella has one of those histories that can make a grown taxonomist just want to sit down and cry. I've already mentioned this horrible genus in my earlier post on Asperdaphne as a player in one of those scenarios where a misunderstood type species leads a genus to jettison almost all of the species previously associated with it and pick up a whole bunch of new ones that it never held before. An inordinate number of deep-water 'turrid' species seem to have been dumped into Pleurotomella at some time or other, many of which are probably only remotely related to the true Pleurotomella. However, since Bouchet & Warén (1980) redescribed the type species Pleurotomella packardi as part of a revision of north-east Atlantic 'turrids', we have much better grounds for the genus' recognition (Beu 2011). Species of Pleurotomella have strongly inflated whorls that are evenly rounded except for a concave 'ramp' below the suture between whorls. The shell contracts rapidly to a narrow base, and has prominent, sharp and often curved axial ridges. Multispiral (left) and paucispiral (right) protoconches of Mangelia species, from Bouchet (1990). Scale bars = 200 µm. Again as was the case in the Asperdaphne post, a notable factor in the taxonomic complications of Pleurotomella has been matters relating to the protoconch, the larval shell that remains perched throughout development at the tip of the post-larval shell, the teleoconch. Because the features of the protoconch such as ornamentation may often differ from those of the teleoconch, it can often be of significance in gastropod taxonomy. A lead proponent of the importance of the protoconch in 'turrid' taxonomy was the New Zealand malacologist A. W. B. Powell who produced an influentiall classification of turrids between the 1940s and 1960s. Nevertheless, Powell did note an interesting phenomenon: the common existence of 'genus pairs' that were all but indistinguishable in teleoconch morphology but very distinct in their protoconches. Because Powell regarded the teleoconch as phylogenetically less significant than the protoconch (in accord with Ernst Haeckel's old dictum that ontogeny should recapitulate phylogeny), he concluded that these 'genus pairs' must represent separate lineages converging on a single adult morphology. More recent authors agree that, in this, Powell was wrong (Bouchet 1990). As noteworthy a source of taxonomic characters it may be, protoconch development is subject to selective and evolutionary pressures just as much as teleoconch development. 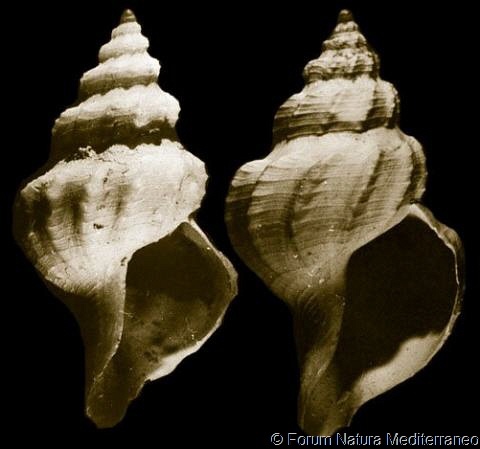 The most regular difference between Powell's 'genus pairs' is that one would have a conical protoconch with a number of whorls (say three or four, referred to as multispiral) whereas the other would have a stubby round protoconch with at most about one-and-a-half whorls (paucispiral). This difference in protoconch morphology reflects a difference in how the larval shell is fed. In the original development path for gastropods, eggs hatch out to planktic larvae that feed themselves on other plankton (planktotrophy) before eventually settling and developing to maturity. However, many conoids (and other gastropods) have evolved eggs that have a large yolk; the developing embryos obtain their energy from the reserves in the yolk (lecithotrophy) and bypass the planktic stage, hatching directly as benthic crawlers. Because planktotrophs need their larval shell for longer than lecithotrophs, it becomes more developed; planktotrophs are multispiral, lecithotrophs are paucispiral. Powell's 'genus pairs' did not represent separate lineages evolving similar adult lifestyles, but members of the same lineage tackling early development different ways. As such, and because of the possibility that the change between planktotrophic and lecithotrophic development may have occured multiple times within a single group, most recent authors would not automatically recognise multispiral and paucispiral species as separate genera. Pleurotomella species mostly have multispiral protoconches, but some (including P. packardi and a number of Pacific species) have paucispiral ones. Which is not to say that protoconch morphology has become irrelevant. 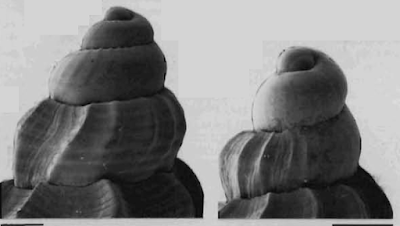 Bouchet & Warén (1980) did maintain the genus Neopleurotomoides as separate from Pleurotomella on the basis of protoconch morphology, despite these two genera having very similar teleoconches. In this case, the difference is not just the number of spirals in the protoconch, but its ornamentation. Pleurotomella species with a multispiral protoconch have a cancellate (cross-hatch) pattern of ridges covering it, but Neopleurotomoides has a sparser ornament of one or two spiral keels crossed by axial ribs. The distinction between the two genera remains problemematic: species with a paucispiral protoconch (which is usually more or less unornamented) cannot be readily assigned to either genus, and there are many 'Pleurotomella' species for which the protoconch remains undescribed. But the take-away lesson, as so often in taxonomy, is this: no source of characters should be ignored, but nor should it be fetishised. Beu, A. G. 2011. Marine Mollusca of isotope stages of the last 2 million years in New Zealand. Part 4. Gastropoda (Ptenoglossa, Neogastropoda, Heterobranchia). Journal of the Royal Society of New Zealand 41 (1): 1–153. Bouchet, P. 1990. Turrid genera and mode of development: the use and abuse of protoconch morphology. 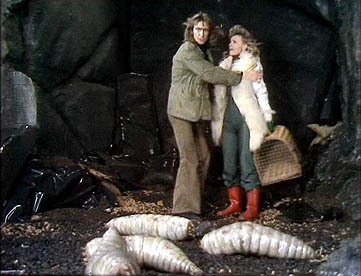 Malacologia 32 (1): 69–77. Bouchet, P., & A. Warén. 1980. Revision of the north-east Atlantic bathyal and abyssal Turridae (Mollusca, Gastropoda). 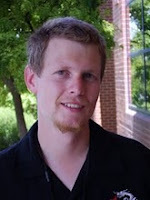 Journal of Molluscan Studies, Supplement 8: 1–119. So conoids can easily switch back and forth between lecithotrophy and planktotrophy? I might have thought early development like that would be hard to change without changing a lot else. They can at least easily go from planktotrophy to lecithotrophy; I don't know if it necessarily works the other way. I don't think it's that complicated a change, mostly just a matter of developmental timing. Certainly easy changes between indirect and direct development seem to be not uncommon in marine invertebrates. Has anyone tried to systematically study what sort of changes are easy or not? The question would have obvious implications for cladistics. I'd be surprised if something along those lines hadn't been done, but I'm not aware of it specifically. I just know that molecular phylogenetic studies I've seen tend to mix direct- and indirect-developing taxa together.